Previous postWeekly Wrap and FitReaders Check in. Ooo I didn't know this existed! I love Crusie! Exactly Katherine. 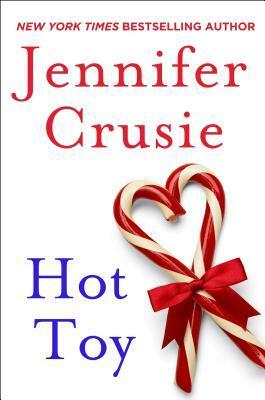 I have enjoyed a number of Crusie books, some I have liked more than others but definitely worth reading. Don't think she has much new out as far as I know. Me too Nise. I miss her books these days. Although I think I might have a few of hers I haven't read. I should check out the actual anthology Debbie as I am sure all the stories were good. I have had a book by Crusie sitting on my shelf for ages but have yet to actually read it or any other books by her. This sounds cute and like a good read for when my brain is fried by all the holiday madness. Always like this author's books. Hey Kathryn, great choice I read and loved all the novellas in that anthology.